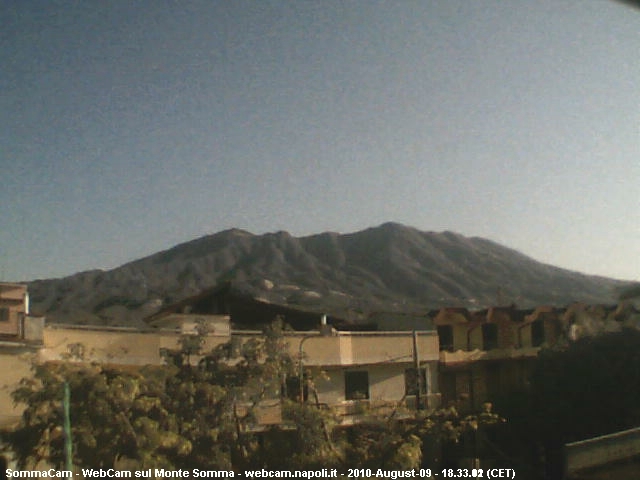 These are pictures of some volcanoes from a webcam during August 2010. 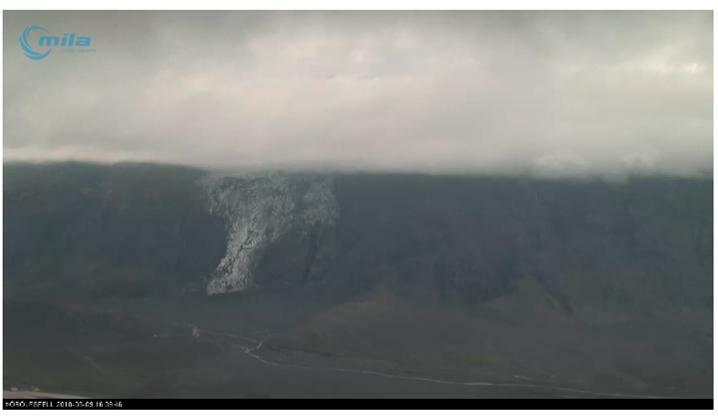 If you click on the name of the volcano you want to look at it will link you to the webcam. If the webcam is dark and you cannot see anything then it is night time there. Sometimes you can see the red in an active volcano at night. 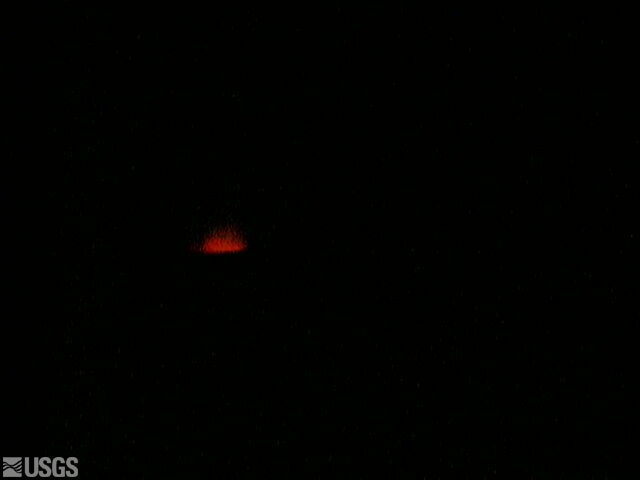 The picture with only red is also from Halema’uma’u, Hawaii's webcam taken during the night in Hawaii while it was morning on the East Coast. 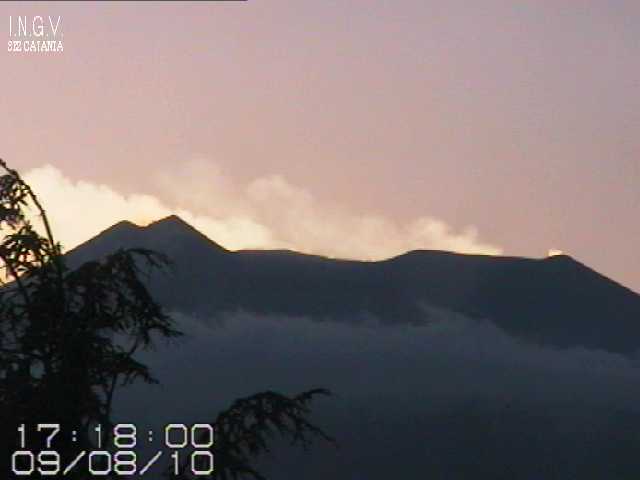 During the day you can often see the gases from the volcanoes' crater. Thank you for visiting VolcanoExperience.com. 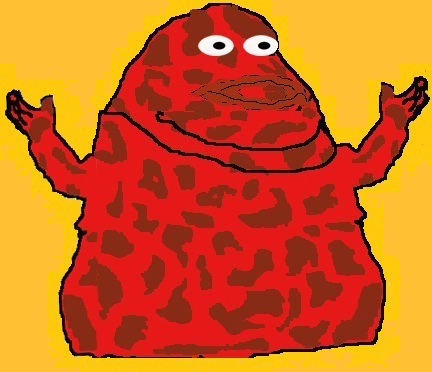 If you would like to ask a question email: admin@volcanoexperience.com.